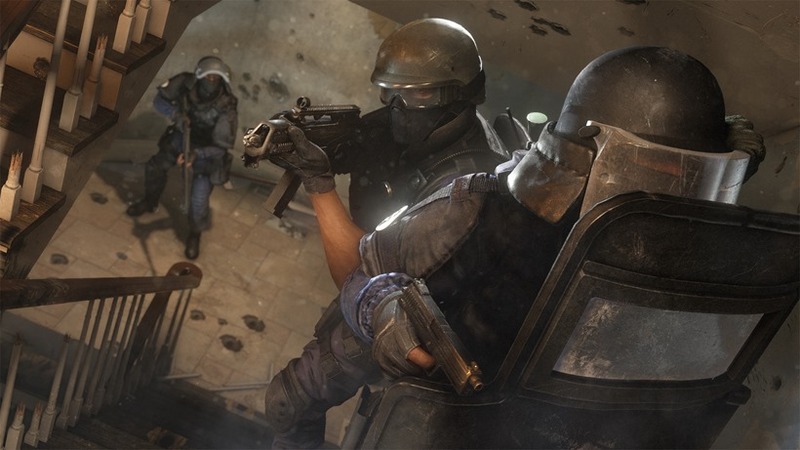 Being a big Counter-Strike fan (back when it was Source, not Global Offensive), I’ve had my eyes firmly fixed on Tom Clancy’s Rainbow Six Siege ever since I got wind of it. 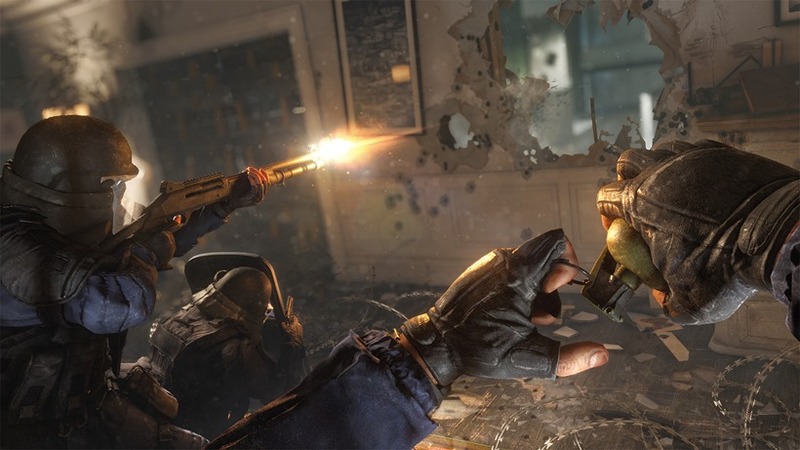 The multiplayer component of Ubisoft’s upcoming shooter has a similar concept to Valve’s in that it is a 5 v 5 affair, and if a player dies, they stay dead until the end of the round. 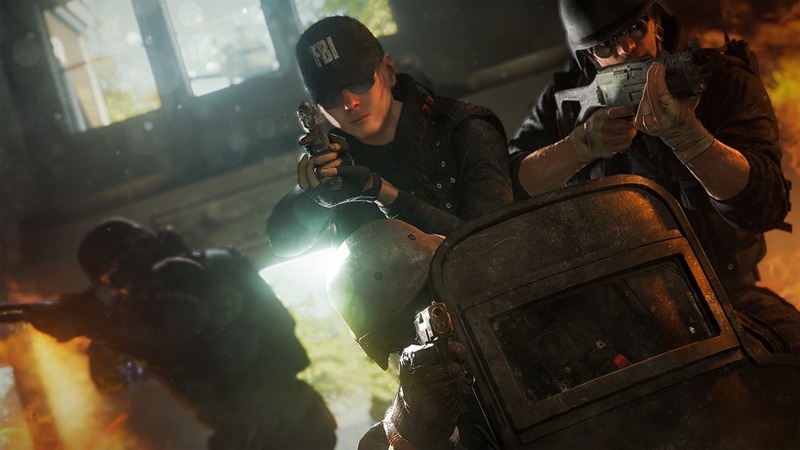 The big difference between the two here though, is that the operators in Rainbow Six Siege have a lot more gadgetry and tools at their fingertips. That, and there is a lot more focus on tactical gameplay. Needless to say, I entered my behind closed doors session at Gamescom excited to see how the multiplayer was. I am joined by a bunch of other journalists. We are split into two teams randomly. My team, who in my head I have dubbed ‘Cabbage Platoon’, are rather quiet. 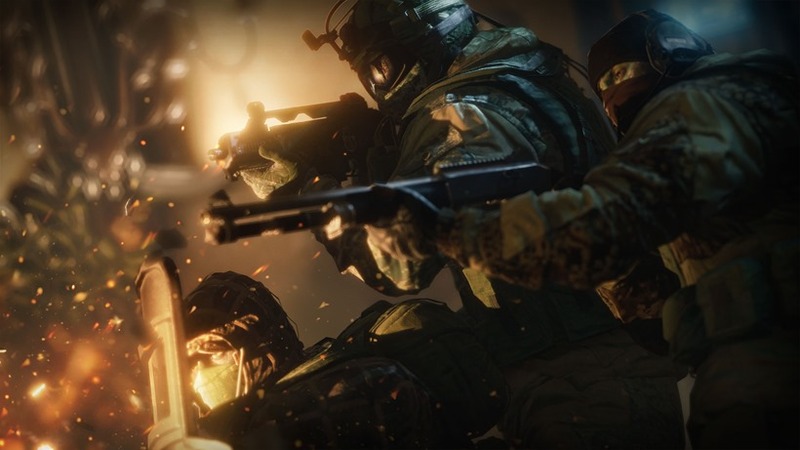 This worries me somewhat, as Rainbow Six Siege has a strong emphasis on coordination and teamwork, and I don’t think we will get anything done properly if everybody decides to play the silent game. Thankfully, we are soon joined by one of the game’s developers. He wastes no time in filling the awkward silence with chatter pertaining to what our hands-on time will involve. 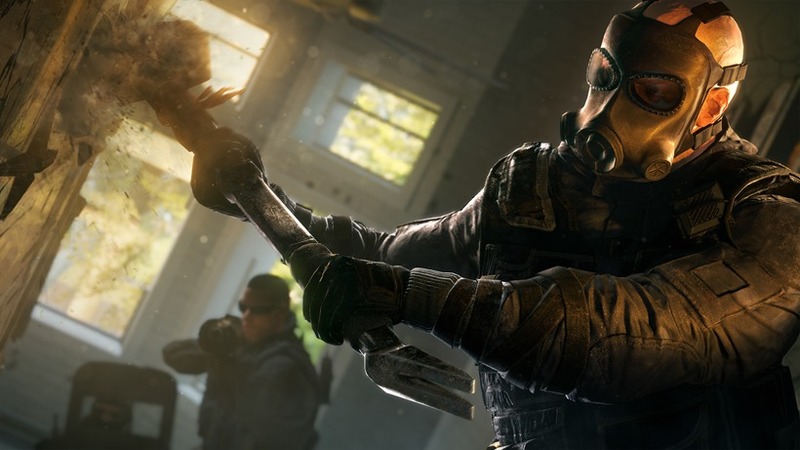 We’re basically going to play a couple of rounds of Rainbow Six Siege as both attackers and defenders, and he will be joining us as the team leader. We start out as attackers. I’ve decided to play as Sledge – the bloke with a giant hammer capable of knocking down walls and doors. Before we can move around, the game allows the defenders some time to set up traps and defences. These include the likes of reinforced walls, barbed wire, barriers, and so on. What we as attackers did during this part of the game, is drive around little recon vehicles, with the aim of getting some intel on what the enemy is doing. I for example, saw that they had chosen to set up camp in the basement of the building we were about to attempt to penetrate. Finally, the round starts, and we head out. Our team leader points out a camera before shooting it, saying that the defenders have access to it and if not taken out, can use it to follow our progress. This is just one of many scattered throughout the map. Intel is very important in Rainbow Siege Six. Taking it away from the enemy is a big deal. He then suggests that we split up into two teams; one will head down into the basement, and the other will check the ground and top floor for any potential ambushes. I make up the latter team, and join one of the quiet journalists in sweeping the area. It was a good call from our leader – we found a straggler on the top floor. He was probably waiting for the perfect moment to jump out and cause chaos from behind. We down him with ease. Meanwhile, the rest of our team that headed down to the basement have all been taken out. In retrospect, running in headfirst into the enemy was a pretty dumb idea, especially considering that we knew they were downstairs. We should’ve taken the time to patiently assess the situation and talk about a proper entry strategy. Anyways, this left the match in a 2 vs 4 scenario. My teamie and I had a tough road ahead of us, but we weren’t going to go down without a fight! We snuck down the stairs into the general area where the rest of our team had gone down. My ally cautiously rounded a corner, and got promptly dropped. This left me well alone… alone to take on 4 defenders. The round was surely lost. But this is where I dug into my Counter-Strike roots. I knew my enemies would be feeling confident, and some would give up their camping spots to come and hunt me down. I hid in a side room and waited patiently. I was right. One terrorist ran right past without even thinking to check the area I had chosen to hide in. I dropped him, and moved position once more. In losing one of their comrades, two more enemies rushed out from wherever they had been, and opened fire on me as I attempted to enter another room. Whether it was blind luck or pure skill, I will never know – I swung around and managed to down them both. This left the map in a 1 v 1 situation. At this point, the adrenaline was pumping. I could win the round for sure! There was only one room the sole surviving enemy could be in. The problem was, he would probably see me before I could see him, giving him the advantage. This where my team leader reminded me that I was Sledge. The whole point of my operator is to knock down walls, creating unconventional routes to provide strategic advantages. I pulled out my hammer, and rounded to the side of the room. I knocked down the wall in a second. The enemy, caught completely off guard, was no match for the magazine I emptied into his side. And this was only one of the four rounds I played of Rainbow Six Siege at Gamescom. The rest were not quite as dramatic or adrenaline-inducing, but they were awesome nonetheless. My only real concern is that if we did not have a developer with us, somebody who spoke confidently and told us where to go and what to do, the team would’ve been completely disorganised. Not only that, what if he gave us orders, and we just chose to ignore him? 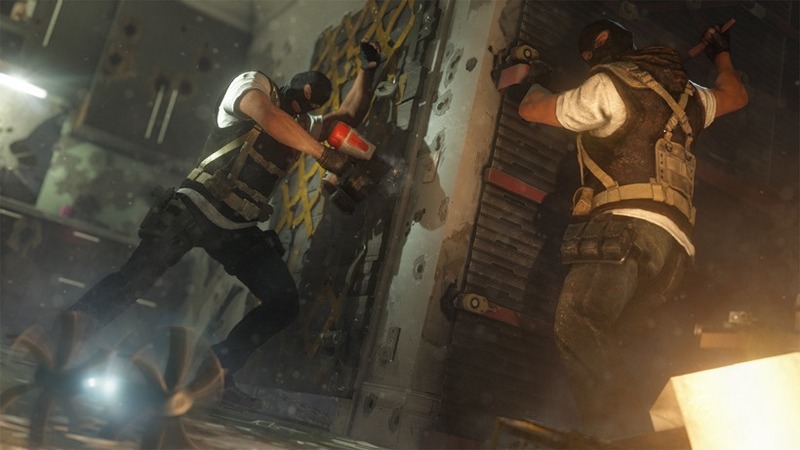 This is the sort of thing that can happen when Rainbow Six Siege finally launches. With a bunch of randoms, the whole experience could be poor overall. With friends or cooperative teammates however, it promises to be a lot of fun. Regardless, my hands on time left me feeling positive overall. 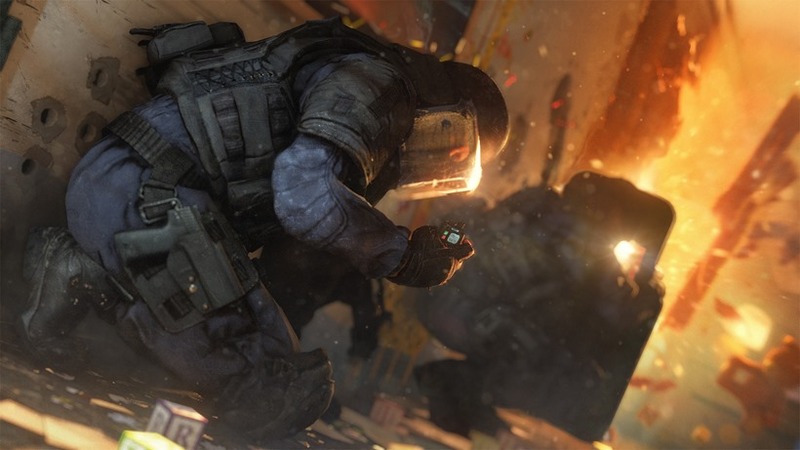 I look forward to playing a bunch more of the multiplayer when Rainbow Six Siege launches in October. It’s tactical and fun – if teamwork is involved.